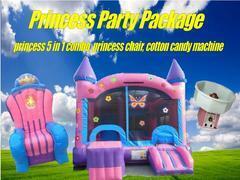 To make your special day less burdensome, ABT has taken a step to make is a bit easier with our party packages. 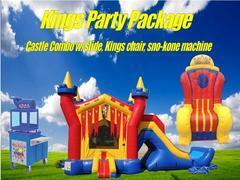 Bounce house rentals, Combo units, water slides and concessions have be pre-packaged with tables and chairs for your guests to enjoy. If you are interested in subtitutes or adding to a package, feel free to give us a call for customization. Please note, if a package is unavailable, give us a call! We most likely have a substitute.